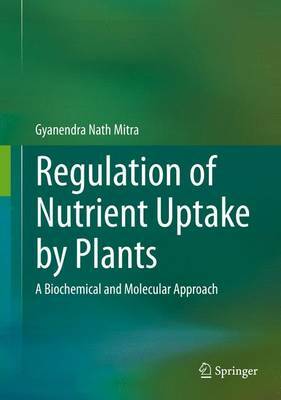 This book describes the mechanisms of nutrient taken up by plants at the biochemical and molecular level. This is a new concept developed over the past 30 years, primarily due to use of modern technology developed in biotechnological research, instrumentation, modern computation facilities, bioinformatics, the large volumes of information generated by use of various `omics' and of course the dedicated hard work of a large number of researchers. Recent research indicates that nutrient uptake, its transport and redistribution in plants are under genetic control. There are groups of genes for each nutrient that encode transporter proteins whose functions are to acquire the specific nutrient from the soil and transport it across the plasma membrane of the root hair cells for use in plant metabolism. Deficiency or sufficiency of a plant nutrient induces different groups of genes to produce m-RNA transcripts for translation of transporter proteins. A large number of metabolic enzymes are up or down regulated in response to deficiency of plant nutrients. Morphological and metabolic adaptations in order to better acquire nutrients and use them frugally when nutrients are scarce in the growth medium can be observed in plants. Heavy metals, which are toxic to plants, induce different sets of defence mechanisms. In 20 chapters, the book describes plants' uptake mechanisms for all the major, secondary and micronutrients, beneficial elements and heavy metals. References to research work quoted in the text are updated up to 2014 and included at the end of each chapter. Biotechnological approaches to improving nutrient use efficiency are discussed wherever such information is available. The structure and functions of transporter proteins involved in the uptake of nutrients are discussed. Additional information on some of the specific topics is provided in text boxes or as separate sections within the chapters. Lastly, the terminology used has been explained as far as possible in the text, mostly within parentheses.